Outdoor Public address systems and Two Way Radios for hire. StageGear Rentals hire a wide range of equipment for all types of shows and events. You tell us the type of event you are planning and we will advise on the public address system you need. We offer a full service supplied with Technical support at the event or as a 'Dry' Hire. We can also hire any "extra" bits of equipment you might need to make your event a success. 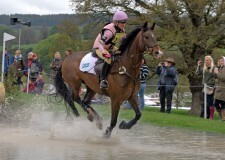 We hire outdoor Public Address systems and Commentery Boxes for Equestrian Events, Horse Shows, County Shows, Classic Car Shows, Orienteering, Charity Runs, Fetes, Steam Shows, Concerts and Garden Parties. StageGear covers the Hampshire and the Isle of Wight area, but can include Basingstoke and Guildford. StageGear is a leading provider of public address and communications systems. Providing bespoke communications services to a range of sporting and other public events, we are a versatile company supplying systems designed to your particular needs. We pride ourselves on the quality of our service delivery and, by extension, our client portfolio. From a pair of two-way radios, through to a custom-zoned PA system, all the way up to a multi-day service with on-site engineers, StsageGear cater for every type of event. For more information about what Show Hire can do for you, please contact us to discuss your requirements with one of our Event Managers in more detail. 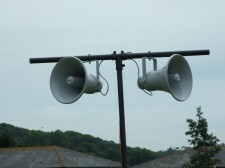 StageGear not only supplies standard public address loudspeakers, but also a range of weatherproof horn loudspeakers to cover any outdoor event such as fetes and shows. The system can be of as many loudspeakers as required for the venue size, and commentators can use wired, or wireless microphones to make announcements to large crowds. This is especially useful for health and safety reasons. 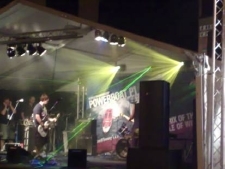 If you decide to hold a stage of live bands or a theatrical performance outside, at a Village Show or Fete, StageGear can provide Public Address and Music systems for this. StageGear has already provided systems for the Old Gaffers Festival, P1 Powerboats, Acker Bilk in the grounds of Appuldurcombe House, Help for Heroes Fundraising Event, and many more. 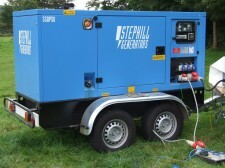 StageGear can supply Generators and Power distribution for your outdoor event, weddings, fetes, or shows.